Includes 250 photographs and 24 maps. 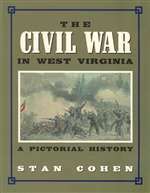 An excellent overview of the war in West Virginia. Perfect for anyone curious about our state’s role in the war. Beginners and scholars alike will be fascinated with the extensive photo collection. From John Brown’s inflammatory acts in Harpers Ferry and the first land battle at Philippi, through the surrender of McNeill’s Rangers and the end of the war, The Civil War in West Virginia looks at the skirmishes, battles and politics that shaped West Virginia’s role in the Civil War. With extensive photographs, maps, and historical documents and research, this book thoroughly chronicles the major activity which took place in the “Restored Government of Virginia”, as the state was called after its secession from Virginia. 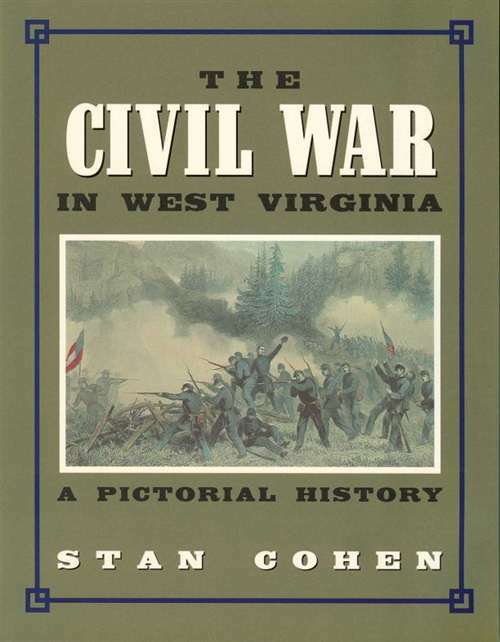 The Civil War in West Virginia describes battles in the state, as well as telling about the exploits of such major figures as Generals Stonewall Jackson, Robert E. Lee, and John McCausland. Read about events such as the Battle of Droop Mountain, the Jones-Imboden Raid, and the Battle of Pigeon’s Roost. The Civil War in West Virginia offers a concise yet thorough look at West Virginia’s involvement in the War Between the States.